The choice of setting material is very important. There are now many different materials available to the DIYer or professional tile contractor, and making the right choice can be a difficult task. A first criteria to choose the right brand is the presence of a major tile organization's seal on the back. This is a guarantee that the product has been tried by experienced people. Your choice will also depend on how experienced you are. Some adhesives are more difficult to work with. For instance, fast setting thinset are not recommended for a do-it-yourselfer. 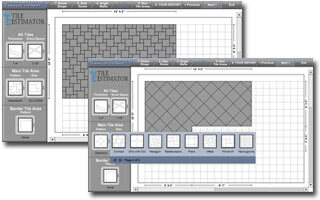 Your choice of thinset depends also on what type of ceramic tile or stone you plan to install. Check with the tile manufacturer. Should I Use Grey or White Adhesive? A grey thinset mortar is recommended if you want to use a dark colored grout, while a white thinset mortar is more appropriate if you want to use a light colored grout. Additives change the properties of the thinset by providing better bond strength, greater flexibility, anti-fracture properties or even waterproofing. Latex is no longer commonly used in thinset, instead there will be other polymers and commonly used "acrylic modified" or "polymer modified" will be seen rather than "latex modified". 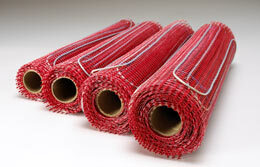 Some thinset manufacturers are using Kevlar in their thinsets to always provide added strength. We recommend to use a modified thinset over a non-modified thinset.